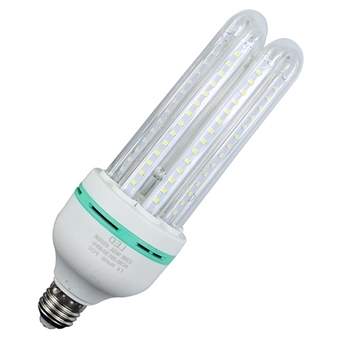 Led corn bulb with a capacity of 5w - 3U form. Large illumination angle of 360 degrees (120 degrees each shot). Lighting fixture made of plastic and aluminum. LED chip type 2835. contains 24 LED bulbs. Light colors: white, warm white. E27 screw. A lifespan of over 50,000 hours. Uses: Bedroom, salon, dining room, hallways, bathrooms, showers, security room, warehouse, office, etc. 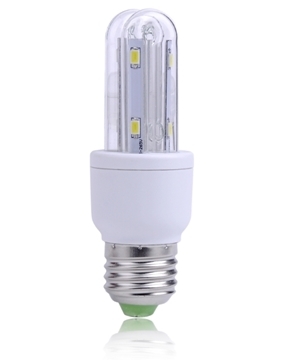 Led corn bulb with a capacity of 3w - 2U form. Large illumination angle of 360 degrees (120 degrees each shot). Lighting fixture made of plastic and aluminum. LED chip type 2835. contains 16 LED bulbs. Light colors: white, warm white. E27 screw. A lifespan of over 50,000 hours. Uses: Bedroom, Slough, dining room, hallways, bathrooms, showers, security room, warehouse, office, etc. 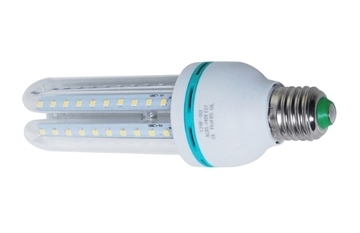 Led corn bulb with a capacity of 12w - 3U form. Large illumination angle of 360 degrees (120 degrees each shot). Lighting fixture made of plastic and aluminum. LED chip type 2835. contains 60 LED bulbs. Light colors: white, warm white. E27 screw. A lifespan of over 50,000 hours. Uses: Bedroom, salon, dining room, hallways, bathrooms, showers, security room, warehouse, office, etc. 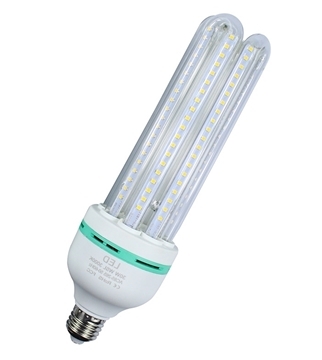 Led corn bulb with a capacity of 7w - 3U form. Large illumination angle of 360 degrees (120 degrees each shot). Lighting fixture made of plastic and aluminum. LED chip type 2835. contains 36 LED bulbs. Light colors: white, warm white. E27 screw. A lifespan of over 50,000 hours. Uses: Bedroom, salon, dining room, hallways, bathrooms, showers, security room, warehouse, office, etc. 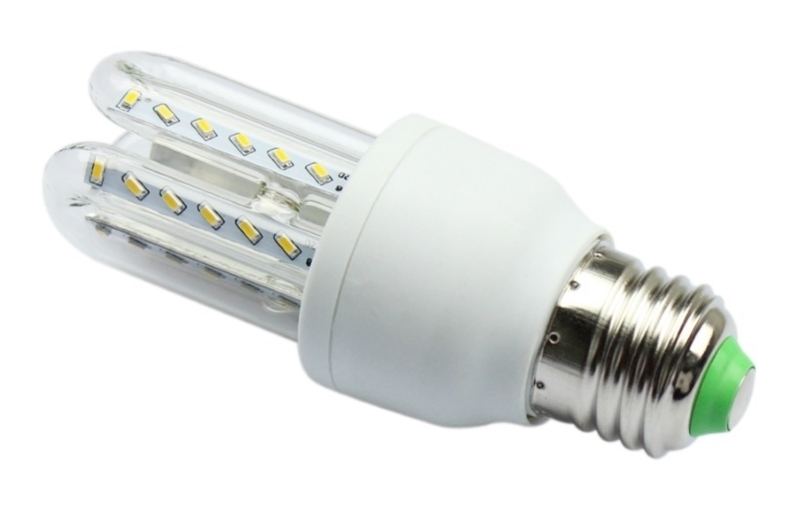 Led corn bulb with a capacity of 9w - 3U form. Large illumination angle of 360 degrees (120 degrees each shot). Lighting fixture made of plastic and aluminum. LED chip type 2835. contains 48 LED bulbs. Light colors: white, warm white. E27 screw. A lifespan of over 50,000 hours. Uses: Bedroom, salon, dining room, hallways, bathrooms, showers, security room, warehouse, office, etc. 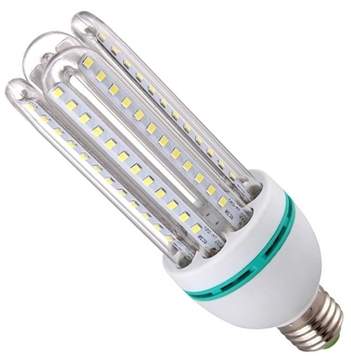 Led corn bulb with a capacity of 18w - 4U form. Large illumination angle of 360 degrees (120 degrees each shot). Lighting fixture made of plastic and aluminum. LED chip type 2835. contains 96 LED bulbs. Light colors: white, warm white. E27 screw. A lifespan of over 50,000 hours. Uses: Bedroom, salon, dining room, hallways, bathrooms, showers, security room, warehouse, office, etc. 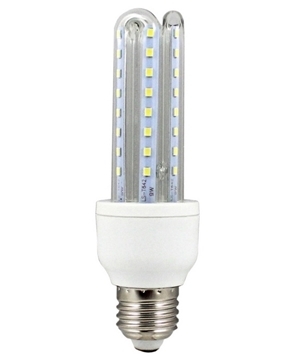 Led corn bulb with a capacity of 18w - 4U form. Large illumination angle of 360 degrees (120 degrees each shot). Lighting fixture made of plastic and aluminum. LED chip type 2835. contains 124 LED bulbs. Light colors: white, warm white. E27 screw. A lifespan of over 50,000 hours. Uses: Bedroom, salon, dining room, hallways, bathrooms, showers, security room, warehouse, office, etc. 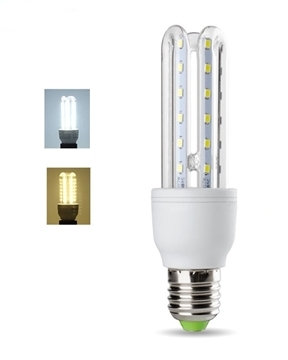 Led corn bulb with a capacity of 32w - 4U form. Large illumination angle of 360 degrees (120 degrees each shot). Lighting fixture made of plastic and aluminum. LED chip type 2835. contains 160 LED bulbs. Light colors: white, warm white. E27 screw. A lifespan of over 50,000 hours. Uses: Bedroom, salon, dining room, hallways, bathrooms, showers, security room, warehouse, office, etc.